Here’s a fun one! 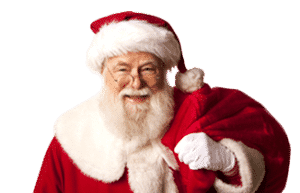 Click here and you’ll be able to ask Santa a question. For every question asked, Pearl.com will donate $1 (up to $20,000) to JDRF, the leading global charitable organization focused on type 1 diabetes (T1D) research. It says you should get a response in about 2 days, but mine came in just a couple hours.